Good morning, friends! We've had an unseasonably warm winter here in Atlanta. Then bam, lately we've been having a cold spell. 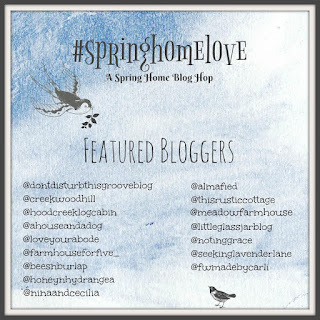 Well, today we're going to pretend that the doors are wide open and spring is upon us as I join 15 other bloggers in a spring home tour. If you're visiting from Fearfully and Wonderfully Made, welcome! My decor is simple and inspired by nature. We've been in our home almost 9 years. There's a small entryway as you walk into our home. To define the space and give it purpose; I hung a mirror, shelf and candle sconces. We place our keys in the bowl and a spring planter greets you! I'm a huge plant lover. Plants breathe life into a room. In the spring I add even more plants and flowers to brighten my home. 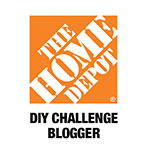 I begin by deep cleaning and organizing to prepare my home for spring. I also freshen up the trim and baseboards with white paint. Then I have fun decorating! 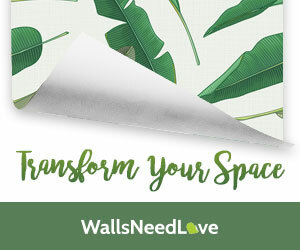 Fresh greenery is such a simple and inexpensive way to liven up your home for spring. I'm always chilly. I like to keep extra blankets nearby in a basket. We eat dinner in the dining room so I kept things simple on the table. A pretty planter filled with flowers is a simple spring centerpiece. Her room is a favorite in the house because it's not surrounded by clutter. I purchased a vase and filled it with eucalyptus sprigs. They have an added bonus of smelling nice and refreshing. Her bench is nice place to sit while putting her shoes on, or spot for friends to sit when they visit. I love pillows! A new pillow can do wonders for your space. This graphic bird pillow from Tonic Living really brought my daughter's bench to life. That concludes my spring tour. I hope you enjoyed your visit. 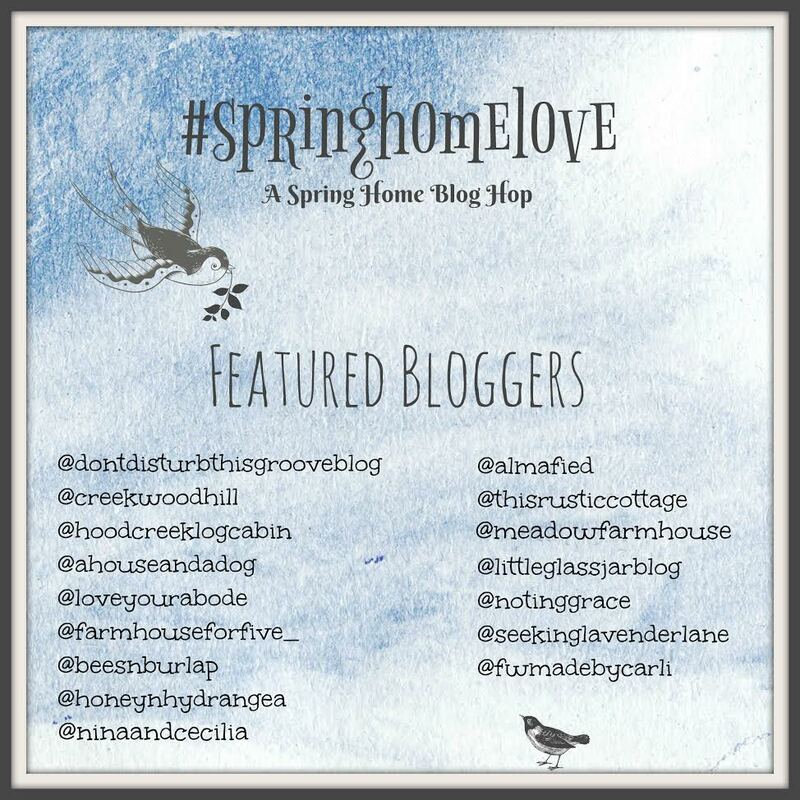 Please continue the blog hop by visiting Lea at Creekwood Hill. The rest of the ladies are tagged below. 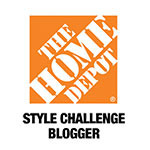 Be sure to stop by their blogs to be inspired. *This post was made possible through a partnership with Tonic Living. All opinions expressed and experiences are my own words. You have such great taste Brandi! I am loving those pillows on your sofa and that entry rug is amazing! Where is that from??? Linda casa e as plantas belíssimas. Aqui está chegando o frio. Gosto mais do inverno esse ano o calor foi insuportável, o verão foi muito quente. Your home is so fresh and inviting! I love your style. Happy Spring! Loved the whole tour Brandi! The simplicity of every room is so refreshing! I love your Spring updates Brandi! Your daughters room is beautiful. I am sure she loves spending time in it with her friends! Gorgeous Brandi, everything looks amazing. Your daughters room is so pretty and elegant. Thanks for the tour, I loved it! Love - from the entry through your entire home! Especially love ALL of your pillows and fabric selections. May I ask you what color you painted your front door? I'm considering painting mine a similar color :) Thanks, Brandi! I always love seeing what's new in your home, Brandi, and this one is no exception! It's always warm and inviting with beautiful accents! How old is your daughter? Her room looks like a grown-up sleeps there. It's absolutely stunning! Love, love, love it all! It's so beautiful Brandi, your home is so serene! lol be your daughters gallery wall too, gorgeous! Love all of your beautiful plants Brandi. I adore your daughter's rooom and bed. Simple and sohpisticated and looks like a true haven! Love you home so much Brandi! Everything is so stunning and styled to perfection! I love your daughters room! Your home is so refreshing, loved the tour! Sweet visit to your lovely home! I love your clean, uncluttered look and yet full of inviting details. Your home is beautiful and inviting, as it always is! Great ideas here. Will surely use some of these in my future home. Soon! I'm excited. I like that there's no welcome mat but a 'hello' sign at the door. Cute! Beautiful spring home Brandi! Love all your styling and design touches. Wow Brandi! Your home is just stunning. I love your rug in the entry and those new pillows are gorgeous! Loved doing this with you!! Such a pretty house Brandi! Beautiful views from room to room. So fun to be on this tour with you. Brandi, I love your home and all the special touches of spring you incorporated. I love how clean and fresh it all looks!! Beautiful my friend! Brandi your whole home is stunning! I love your pillows on your couch, so perfect! So glad we were able to do this tour together! Your home is perfection! I just love everything about it. I love your welcoming home! I'm always chilly too and keep throws around. Love the new pillow in your daughter's room! Ahh, calm and serene. Your home just lightens my mood. Your home makes me so happy . I have so much more to do.